Wondering where you should begin? Read interview tutorials, practice free psychometric tests (including sample tests and examples), check out in-depth articles on passing an aptitude test, giving presentations, role-plays, passing your in-tray exercise, e-tray exercise, verbal reasoning test, numerical reasoning test and much more. 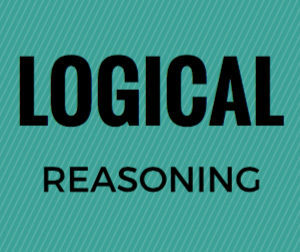 Our two most popular pages cover numerical reasoning tests and verbal reasoning tests, but there are hundreds of other guides here that show you how to succeed in every aspect of assessment centres and aptitude testing. 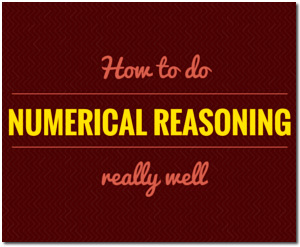 Your numeracy skills are a highly visible indicator of your intelligence, education and mental capacity. A poor score in a numerical reasoning test is difficult to overlook for recruiters as it’s a strong black mark against your candidacy (especially for roles in the financial sector). This guide will give you the tools to succeed. Communication is one of, if not the most important skill in a modern working environment. For the majority of today’s business roles it’s crucial that you score highly in this area. 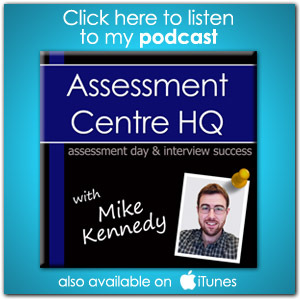 Read this guide and give your chances of assessment day success a huge boost. 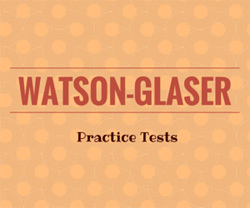 The Watson-Glaser test is one of the most widely-used forms of assessment in modern recruitment. Learn how to succeed and take a practice test in this success guide. The UKCAT test for medical students is a requirement for 75% of UK unversities. Our definitive guide to UKCAT preparation includes practice tests, tips, tricks, videos, and dozens of resources & links that will turbocharge your chances of success. Role-plays are public enemy number 1. This is the exercise that’s makes the most candidates anxious ahead of their interview, but it needn’t be that way. With the right preparation you can fly through a role-play. 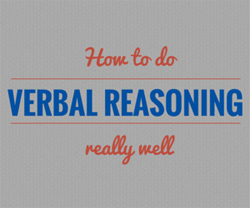 We’ll show you how with expert tips and useful examples. This is a good starting point – particularly if you’re worried about the ‘performance-based’ elements of your interview or assessment day (or just aren’t sure what to expect from the day). Presentations are a dark art. There’s nothing more tedious than a bad one, but a good one can make a stellar impression. (Especially at an assessment day.) With time to learn and prepare beforehand you can do a superb job. We’ll walk you through an ultimate guide which will show you how to deliver an impactful, memorable and effective presentation. 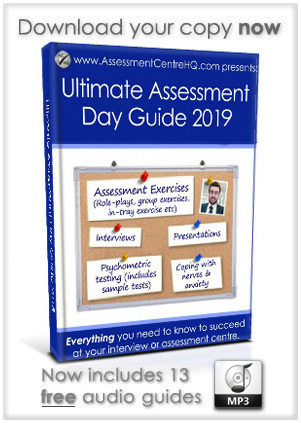 Despite the many other assessment day exercises candidates complete, nothing -and we mean nothing- is more important than the actual interview you have with your prospective employer. It will make or break your chances of securing that new role. This masterclass leaves no stone unturned in preparing you to deliver an incredibly compelling interview. This is often one of the most revealing exercises of an assessment day, so it’s no wonder it’s so closely scrutinised. This exercise tends to reveal one the most important elements of a candidate – their character. This is a must read if you want to make a good impression! One of the only ‘tests’ during your assessment day that isn’t really a test. This is more about investigating a candidates working preferences (there are no ‘right’ or ‘wrong’ answers, after all). Even so, you want to project the best possible image, right? We’ll tell you everything you need to know. A happy mind and body are one and the same thing. You are exponentially more likely to succeed at an assessment day if you master your own mental approach and prepare your mind and body in the right way. We’ll show you how. What’s the point in all that hard work and preparation if it all goes up smoke when you are put under pressure to deliver? (Some people can be genuinely crippled with nerves.) In this section we tell you secret tips and tried and trusted techniques to remain calm, confident and focussed. We’ll let you in on a secret. If your inter-personal skills are found wanting in an interview/assessment day environment it’s a real black mark against you. 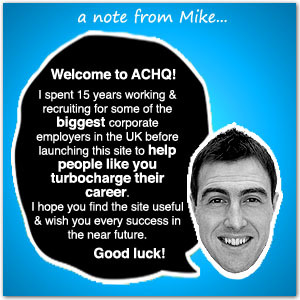 No-one wants to work with, or employ, someone they feel won’t fit in or is difficult to get along with. We’ll share the golden rules with you to ensure you make a fabulous impression, on every level. During your assessment day it’s vital that you A) look the part and B) have practical tools to succeed. We’ll highlight the must-buys to ensure you have all the bases covered.